We need your help us make true progress for our Coptic brothers and sisters in Egypt. Rep. French Hill (R – AR) is a true champion for Copts, and has just introduced a Congressional Resolution, H. RES. 49, Expressing Support for Coptic Christians and Religious Liberty in Egypt. 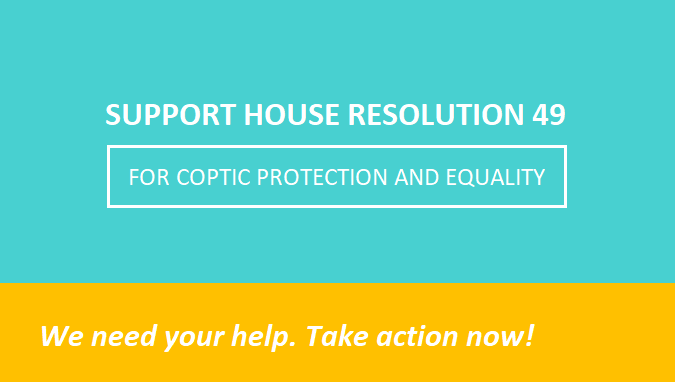 This resolution calls on Egypt’s government to protect Copts by ending the culture of impunity for those who attack them and their properties, and to enact reforms for Copts to achieve equality and full religious freedom. Taking one minute to sign the provided letter will give us the critical support we need to get this resolution passed. The first step is to gather as many Congressional cosponsors as possible. When the Chairman of the Foreign Affairs Committee sees strong bi-partisan support through cosponsorship, he will schedule it for a mark-up which will then allow it to be moved to a full floor vote. A sample letter is provided on our website. You may edit or send as is. Enter your name and information and the message will be delivered directly to your U.S, Representative, utilizing your address to determine the correct target. 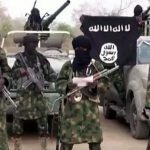 Please take action now and share this campaign with your family and friends to generate more actions! You can read the full text of the resolution here and contact us at coptadvocacy@copticsolidarity.org with any questions.